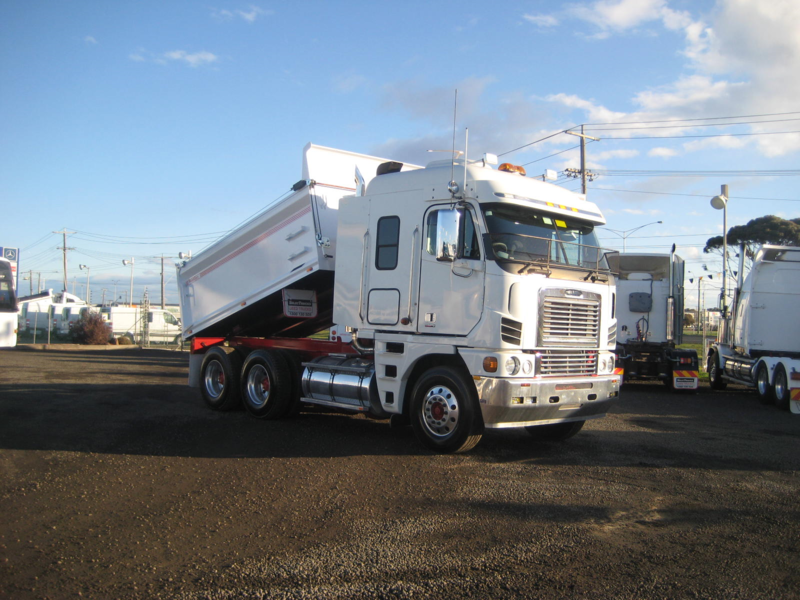 2012 Kenworth T909 - Located in Sydney and ready to work! Hard working Fusos are in stock at SelecTrucks of Sydney! Mitsubishi FK417 ready to go in our Melbourne yard! Freightliner Coronado 122 - Ideal for heavy haulage! 2012 Freightliner Coronado 122 - Road Ready! Australia Wide Delievery Avaliable! SelecTrucks have you covered...with our Driveline Warranty! Excellent range of Roadtrains in stock - Call today for a great deal! SCANIA, MACK & VOLVO! Late model European trucks in stock now! Great range of Tippers in stock - Ready to work! Freightliner Argosy 101 - Make an offer! Excellent range of Roadtrains in stock now! Great range of Tippers in stock - Call now for a great deal! Huge range of BIG BRAND USED TRUCKS such as MERCEDES-BENZ, FREIGHTLINER, FUSO, CAT, WESTERN STAR, KENWORTH, VOLVO and many more! Tippers in stock and ready to work! Click here to find your nearest SelecTrucks branch and see our great range of Tipper trucks or call us today!